Hyaluronic acid, also known as hyaluronan, is a clear, gooey substance that is naturally produced by your body. The largest amounts of it are found in your skin, connective tissue and eyes. Its main function is to retain water to keep your tissues well lubricated and moist. It helps in reducing the appearance of fine lines and wrinkles, it Improves contours & reduces the appearance of scars. As we age, the production rate of this acid declines which is why dermatologists encourage people to take it as a supplement in the methods such as serums, creams, lotions and injections. Topical treatments can soothe redness and dermatitis, while injections can make skin appear firmer. Anti-Aging – By applying hyaluronic acid, the moisture content acts as a filler and smoothens out the wrinkles. Provides & maintains moisture– Hyaluronic acid helps in retaining moisture in the skin. Protective Barrier– It acts as a barrier for your skin against external factors such as the environment, pollution, weather, etc., which can dry up your skin. Reduces Eye Discomfort– Hyaluronic acid liquid drops are beneficial for various eye disorders, injuries, pre and post-eye surgery, cataract, repairing of a detached retina, corneal transplant, etc. Relief from Joint Pains– Hyaluronic acid in the form of supplements are beneficial in providing relief for aching joints. It is often used as a treatment for osteoarthritis. You know your body actually produces hyaluronic acid, it is found naturally in almost every cell in the body although occurs in high concentrations in specific body locations. How Do I Use Hyaluronic Acid in My Skincare? Serums are thinner in consistency with more potent concentration of ingredients to deliver great results. When using a serum, wait at least 15 minutes after applying for the serum to completely absorb into skin before you move to the next step in your routine. Another great way is to use a moisturizer that includes HA packing a hydration punch. Get better result use both a serum and lotion that features HA! Microneedling is done with derma roller, which is essentially a handheld roller with several tiny needles, or a pen like device, which usually offers greater control for the operator to treat smaller areas, where the needles gently penetrate below the surface of the skin. When used together, hyaluronic Acid and microneedling results in increasing the production of collagen to improve the strength & structure of the skin, & also diminishing visible signs of aging by revealing smoother and tighter skin. Injectable hyaluronic acid (HA) is a type of temporary dermal filler. As we age, the fat, muscles, bone, and skin in our face begins to thin. This loss of volume leads to sagging appearance of the face, folds, wrinkles, fine lines, and thin lips. 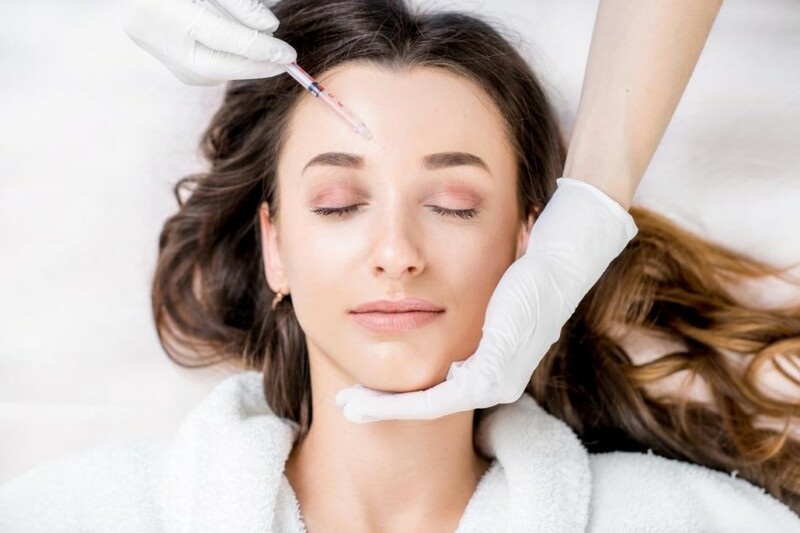 Injectable HA is used to reduce the appearance of fine lines, wrinkles, facial folds, and to create structure and volume to the face and lips. The effects of injectable hyaluronic acid are seen immediately. Where to get Hyaluronic Acid? Answer is Kutiz Skin Clinic- It has one of the best dermatologist of Gurgaon, Dr Jyoti Malik. Treatment for HA can be done on your skin, lips, etc which can give you quick results. The effect usually lasts for about nine months to two years.